After hovering just above $4,000 for days, Bitcoin is suddenly surging. BTC reached a high of $5,106 on Bitfinex – a new all-time high for 2019. The sudden volatility within the past 14 hours matched Bitcoin’s tight trading range over the last three months, when BTC swung between $3,217 and $4,000. The overhead view from Coin360 shows BTC is now trading around $4,692 at time of writing, up 14.19%. Ethereum is trading at $150.83, up 6.06%. XRP is trading at $0.3323, up 6.77%. Litecoin is trading at $67.42, up 11.17%. Trading volume has also skyrocketed for the world’s largest cryptocurrency, up 125% from $289.5 to $655.2 million on the Real 10 Volumes index over the past six days. 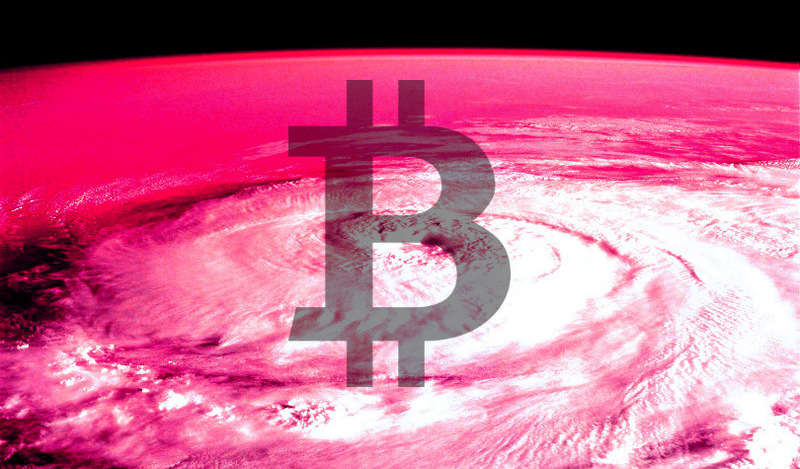 Founding partner of crypto hedge fund Tetras Capital, Brendan Bernstein, says he believes a perfect storm is brewing for Bitcoin and cryptocurrency. 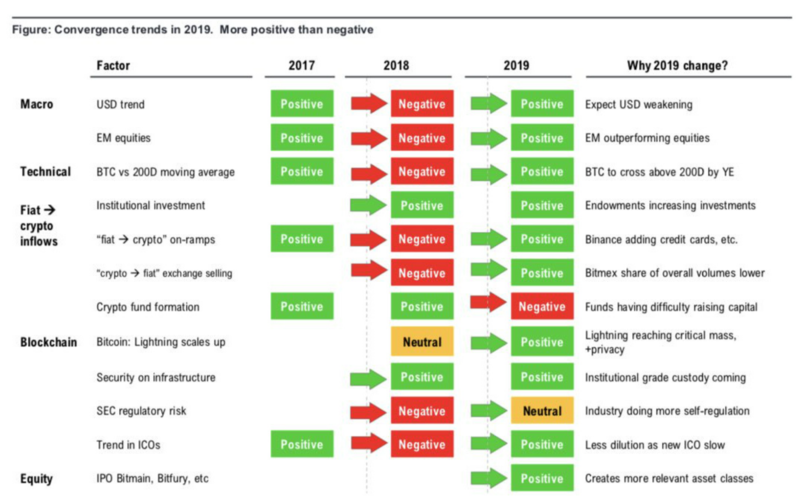 Bernstein is outlining his top seven reasons why he’s never been more bullish on BTC, including ongoing quantitative easing, baby boomers retiring, the upcoming US election and the Bitcoin halving set to happen in May of 2020. 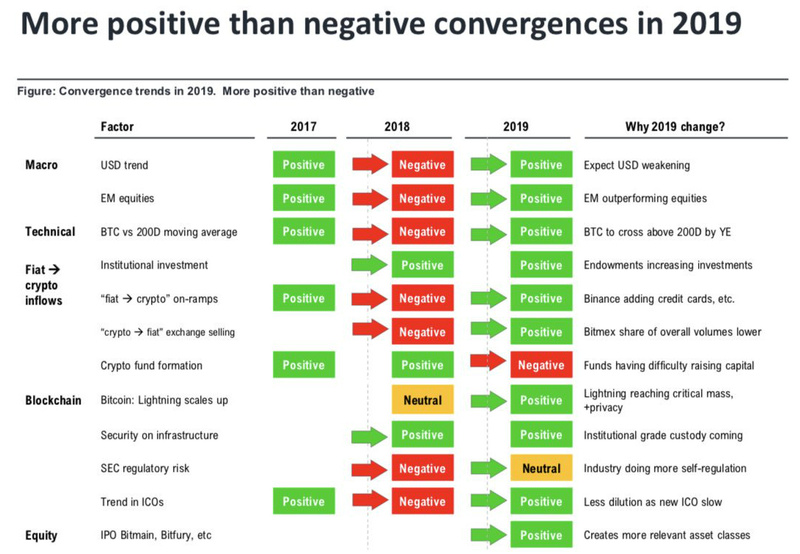 In response to Bernstein’s tweet, Fundstrat co-founder and head of research Tom Lee chimed in, posting an image of “positive convergences” for Bitcoin in 2019.